Whether you’re completely new to playing in alternate tunings or want to expand on the tunings you already use, in this workshop, fingerstyle guitarist and Peghead Nation co-founder Teja Gerken will help you see beyond EADGBE. Teja will begin by showing musical examples in common tunings such as Drop D, Open D, DADGAD, Open G, etc., and will discuss why you might choose one tuning over another. He will then use his arrangements of the Irish traditional The South Wind (in DADGAD) and the Beatles’ While My Guitar Gently Weeps (in CGDGCD tuning) to provide a musical context and to get students playing (music in TAB and standard notation will be provided). 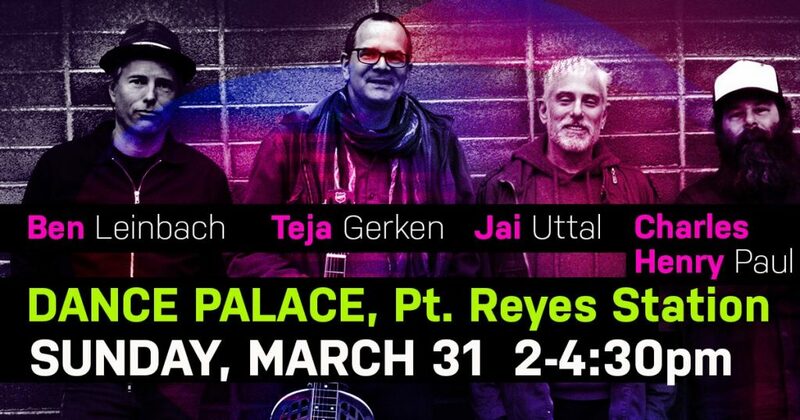 Throughout the workshop, Teja will emphasize ways to understand the common territory between various tunings, as well as their relationships to standard tuning, which will help you navigate the rearranged fretboard. 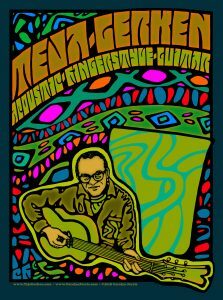 Teja will also demonstrate how alternate tunings facilitate contemporary fingerstyle techniques, how they can be useful in the context of playing with others, and how to use them in multiple keys. Teja Gerken (www.tejagerken.com) has been deeply involved with the contemporary fingerstyle guitar scene for more than 20 years, and his two CDs of solo fingerstyle tunes, On My Way and Postcards have received international acclaim. Teja is a co-founder of the music instruction website Peghead Nation (www.pegheadnation.com), and he has written extensively about guitars and guitarists during his 15 years tenure as an editor for Acoustic Guitar magazine, and as a contributor to Fretboard Journal, Guitar Player, Premier Guitar, and other publications. In addition, he is the author of The Taylor Guitar Book. 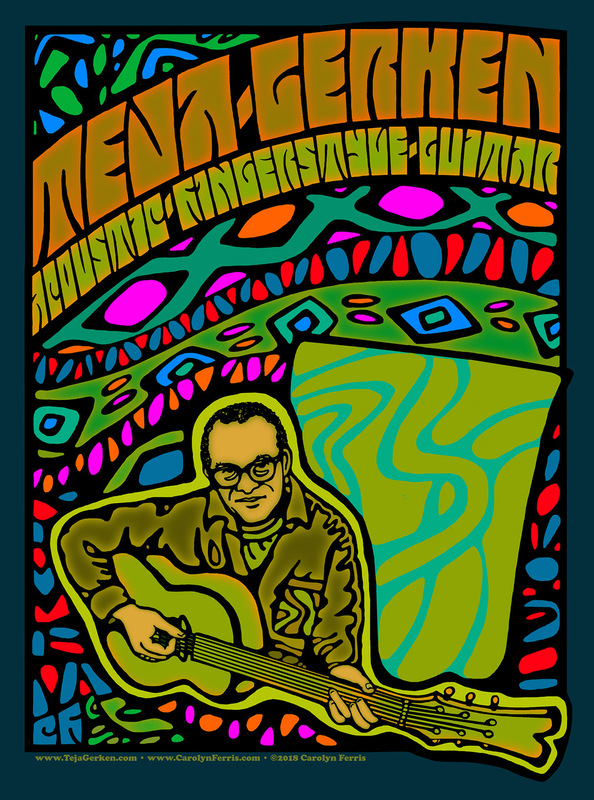 Acclaimed poster artist Carolyn Ferris has created a wonderful new Teja Gerken poster! Look for it announcing shows in the near future! 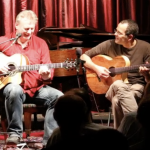 Teja and Doug Young had a great time at the recent Winters Guitarfest in Winters, California. Here’s a video of Doug’s tune “Autumn Roads,” played the beautiful Palms Playhouse. 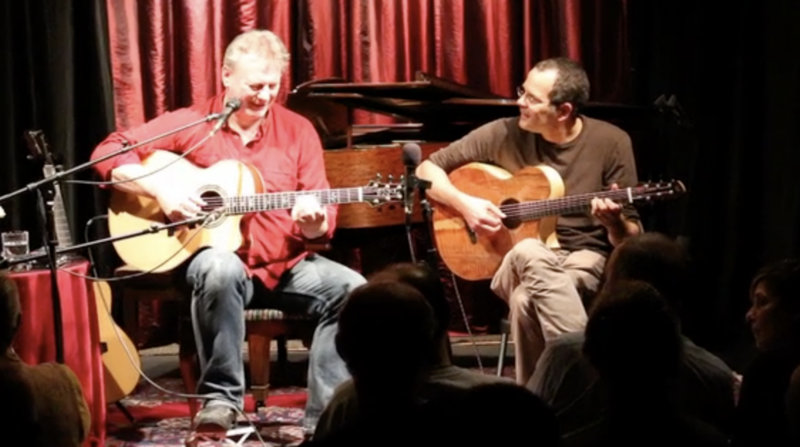 I had a lot of fun playing Steve Baughman’s “Planxty Bongwater” during the “American Fingerstyle Guitar Night” (with Tracy Moore, Steve Davison, and Peter Janson) at the 142 Throckmorton Theatre in Mill Valley, California, on May 24th, 2018. I’m playing my 2004 Martin Custom Shop OM (Indian rosewood/Adirondack spruce), tuned to D G D G C D, capo 2.